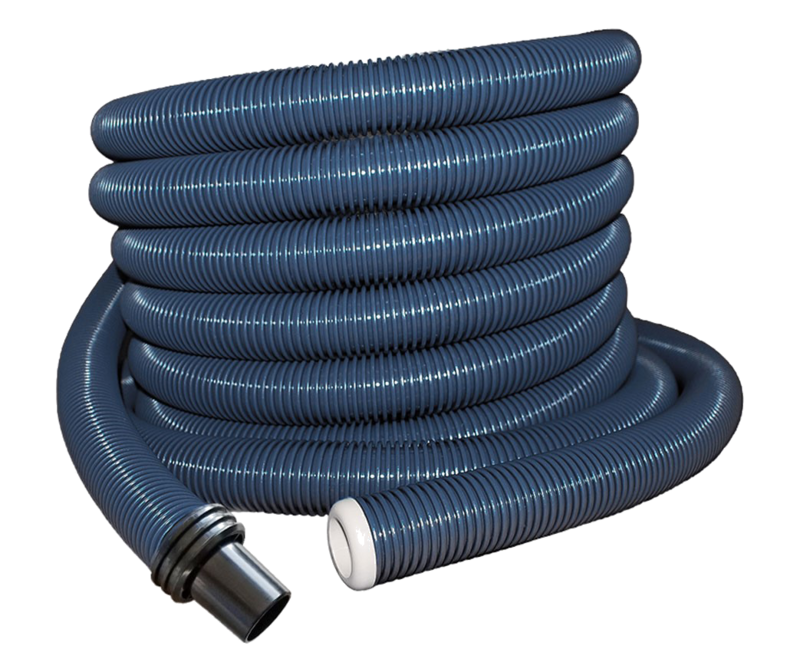 Rapid Flex central vacuum hoses are made of scratch resistant material that does not require a hose sock. Rapid Flex hoses pull out more easily and retract faster than hose kits, and are a larger diameter, increasing air flow 20 -30%. Our new Rapid Flex hoses feature the mini-cuff, which allows tools to fit directly onto the hose cuff for easier use. Hose lengths can be customized to fit the home-owner’s needs. Trim desired length from end of hose that goes in valve first, then replace end cap into trimmed end (Do not trim the cuff-end of hose).